These Car Display Cases Have Black Bases for Contrast! Display One Item Or a Collection in These Roomy Enclosures! These Car Display Cases that are Acrylic are For Sale Online! 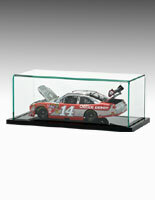 1/8" acrylic cover of the car display cases lift off easily so items inside are quickly replaced. Black base provides a neutral ground to highlight any collectible. Car display case fits pieces up to 12"x5"x6". Objects become fully enclosed, preventing dust from accumulating, but allowing total visibility. 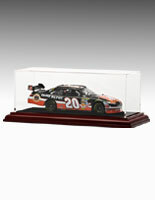 These deluxe car display cases that are medium sized can accommodate a nascar model or slot cars up to 12" long, 5" High and 6" wide. Slot cars and diecast hot wheels vehicles can also go inside these acrylic boxes. 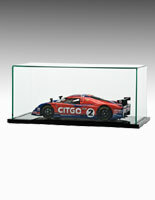 Car display cases protect and enhance the appearance of any scale collectibles. This unit is not just limited to holding one scale nascar model. These car display cases are also excellent for displaying a small collection of diecast hot wheels. 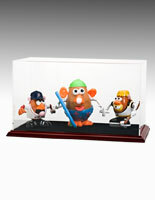 Sports memorabilia like baseballs can even be showcased using these versatile acrylic boxes. 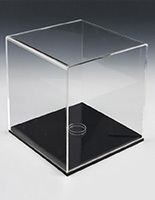 Car display cases, also known as acrylic showcases, have a cover that easily lifts off. Diecast hot wheels can be easily accessed because of this feature. 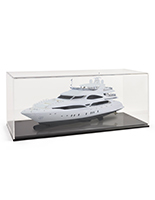 These scale car display cases that are good quality are made with 1/8" acrylic, unlike the brittle plastic that is used in a cheaper model. 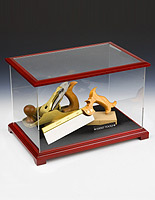 For a more professional presentation and a product with more longevity, these showcases are an excellent choice. 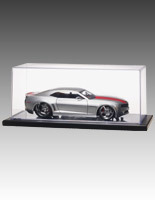 These die cast car display cases that sit on a desk are designed to exhibit items on flat surface, such as a shelf or table. 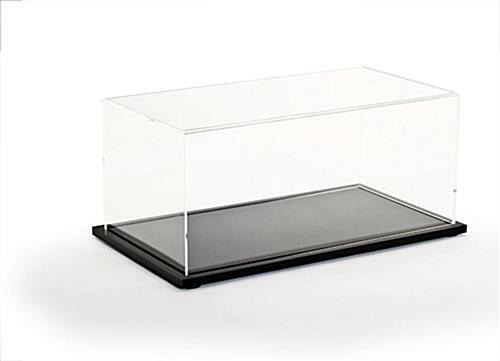 No special mounting is necessary, simply position diecast sports cars on top of the base and cover with the clear top. 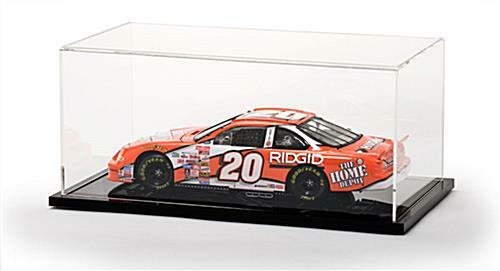 These thick acrylic car display cases will keep dust and debris away from a scale nascar model and also allow full visibility for the hot wheels collection inside. 13.8" x 6.1" x 7.8"
12.8" x 5.5" x 6.6"